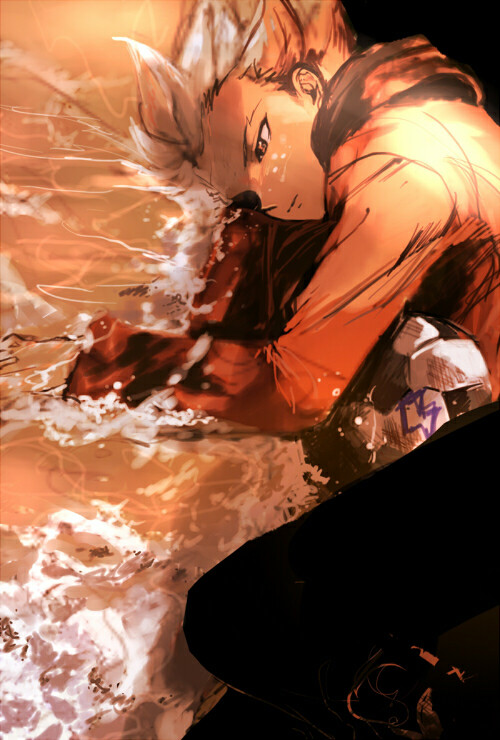 222 anime images in gallery. 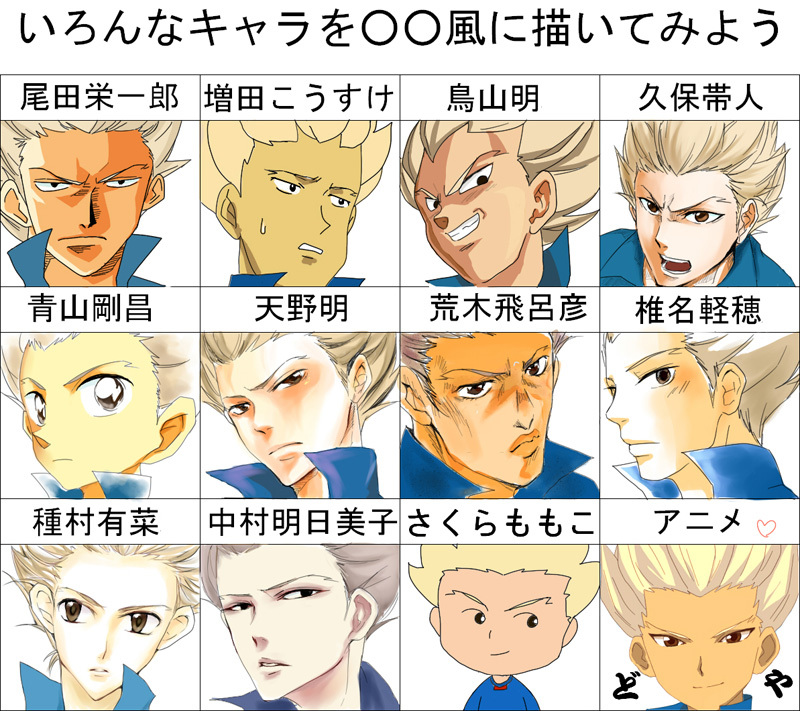 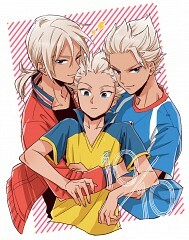 Tagged under Inazuma Eleven, Raimon Eleven, Inazuma Japan and Nojima Hirofumi. 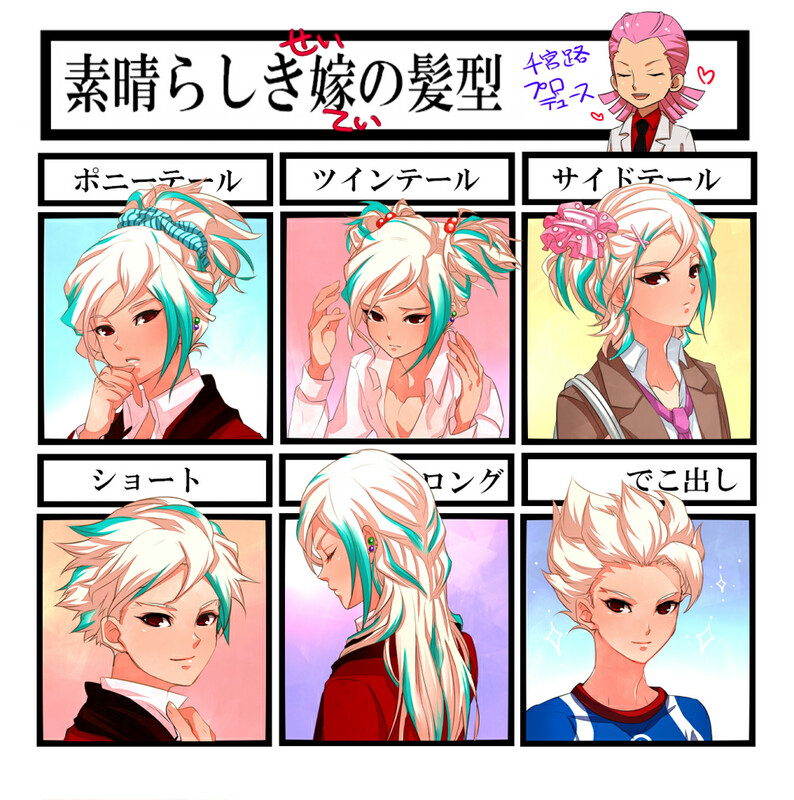 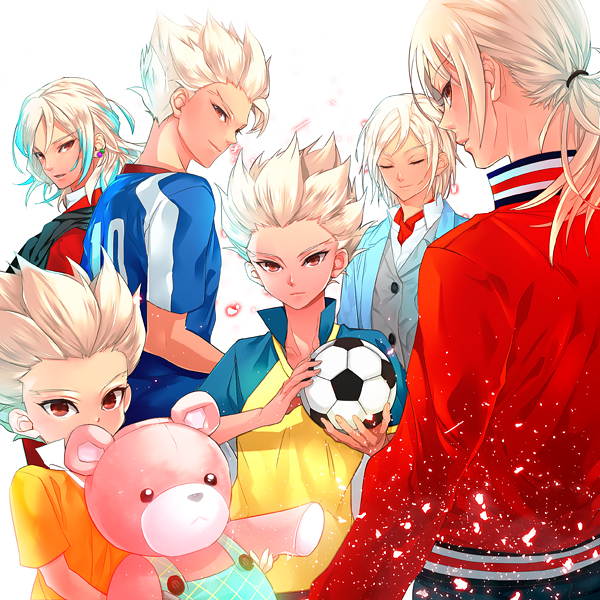 Gouenji Shuuya (豪炎寺 修也) is one of the main protagonists in the Inazuma Eleven series. 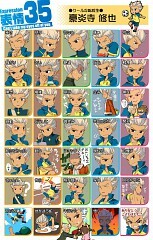 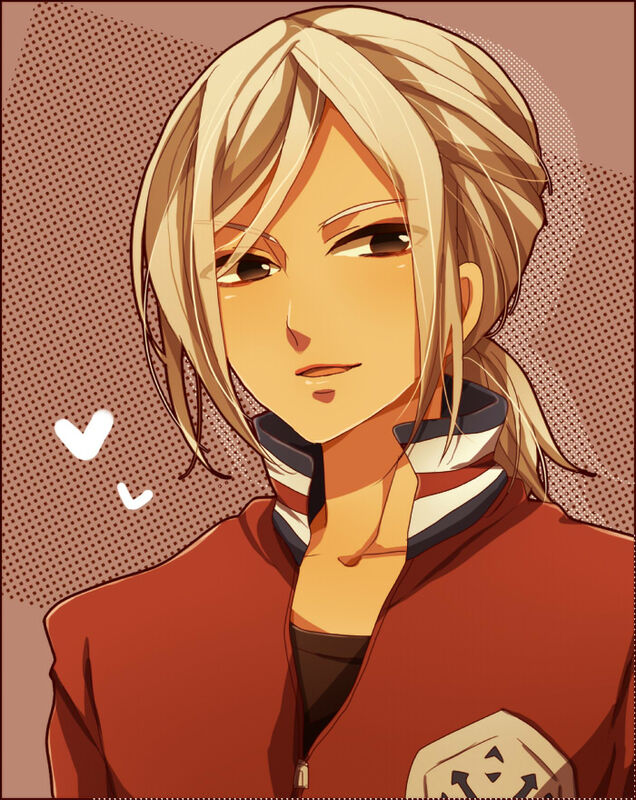 He was formerly the ace striker of Kidokawa Seishuu, then the ace striker of Raimon, and later of Inazuma Japan. 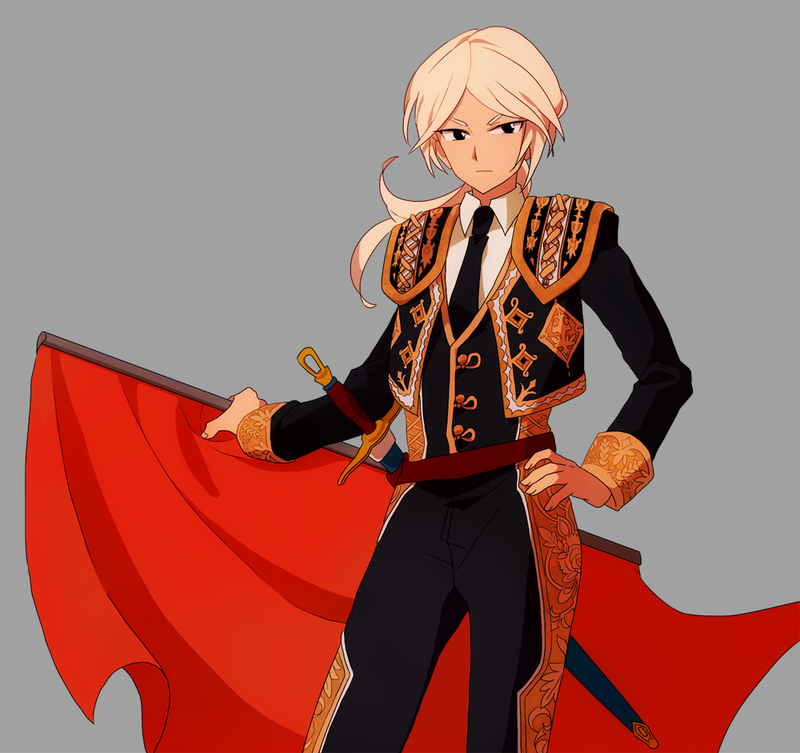 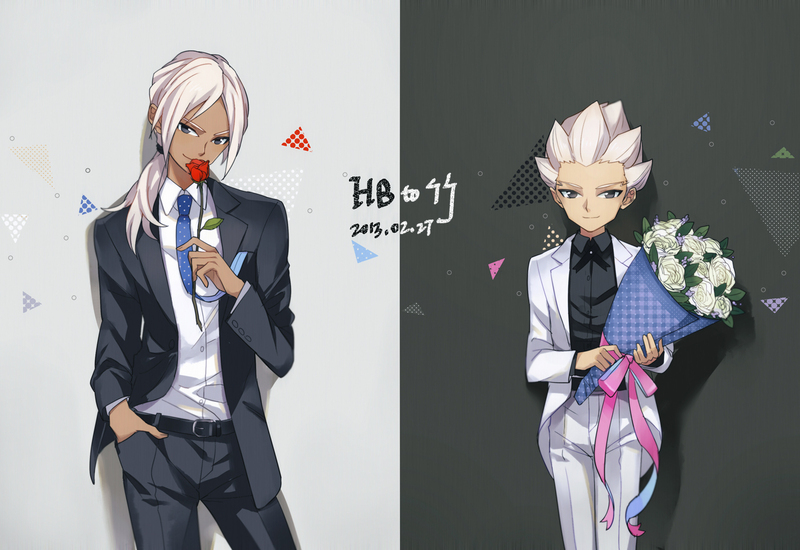 In the events of Inazuma Eleven GO, Gouenji was revealed to be the antagonist of the new series because his status as the "Holy Emperor" of Fifth Sector, going under the alias of Ishido Shuuji (イシド シュウジ). 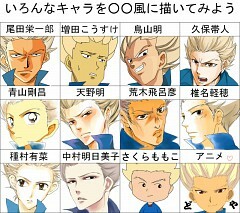 He was also Seidouzan's coach. However, it was revealed that he was a protagonist from the beginning. Even in his childhood, Gouenji was shown to be a talented player. 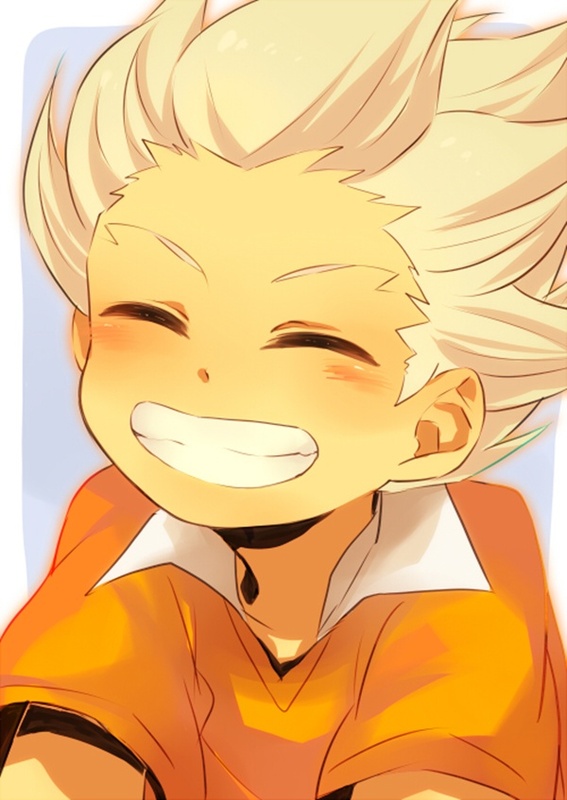 His parents would often come to his games to cheer for him, saying that he had a talent for soccer and that they were tremendously proud of it. 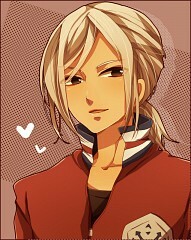 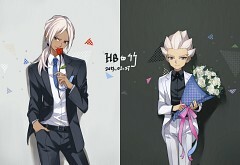 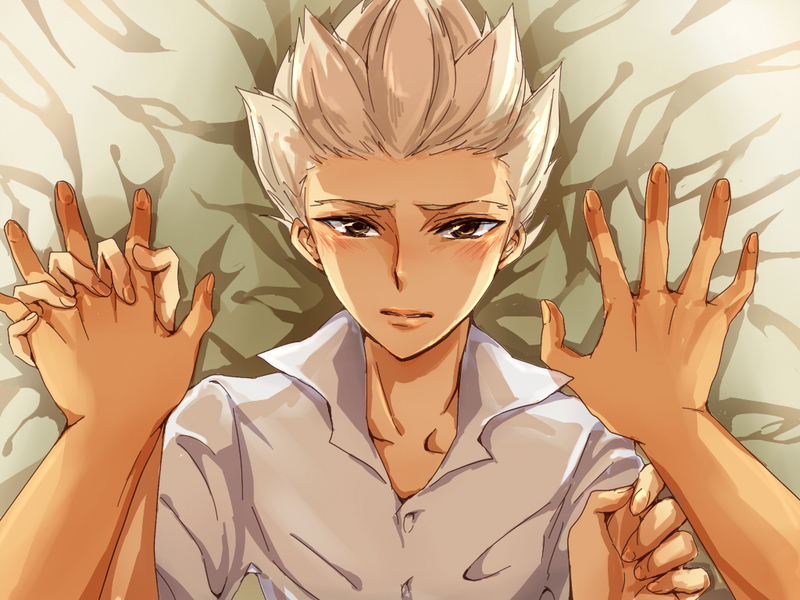 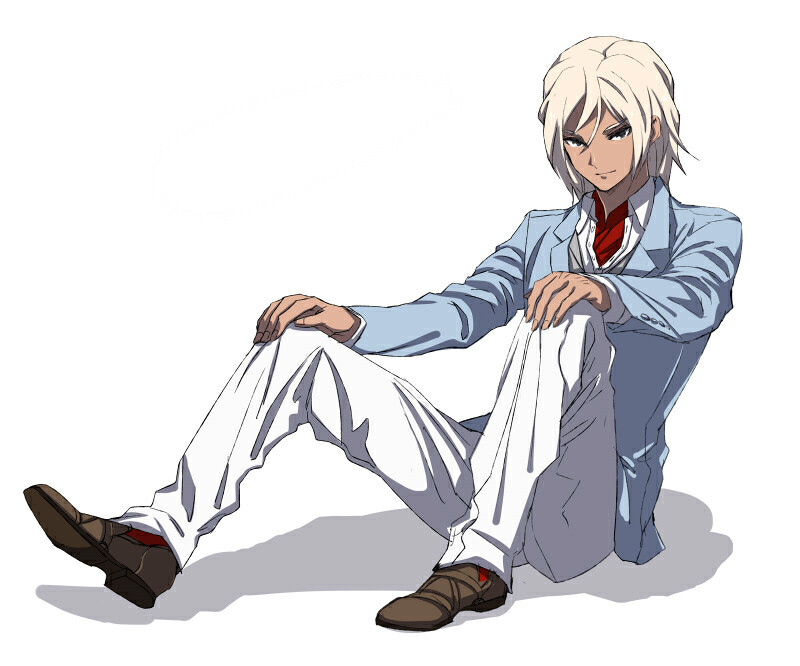 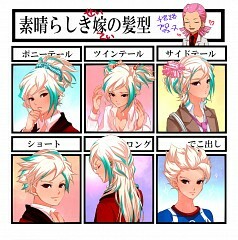 However, after his mother's death, his father, Gouenji Katsuya became a completely different person. 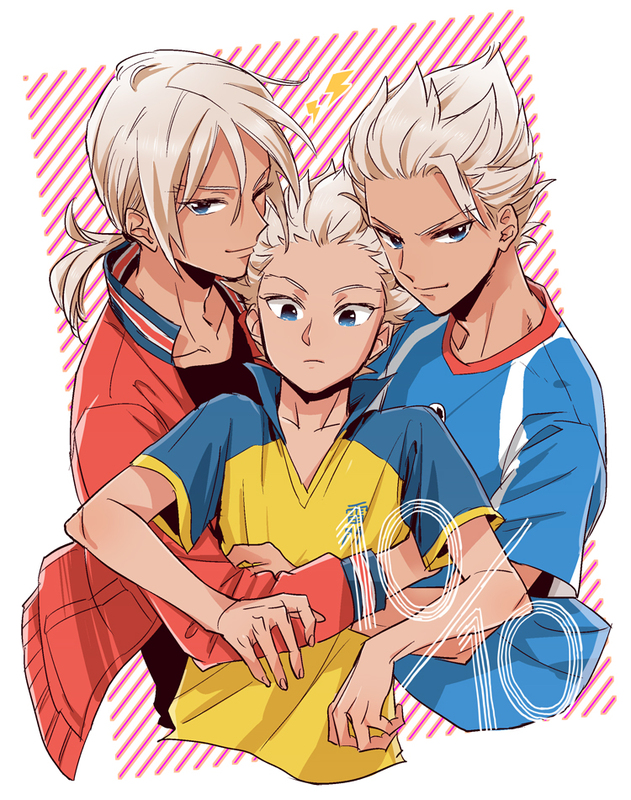 Despite his pride for his son in the past, his father wanted Gouenji to quit soccer and become a doctor like himself and has been arguing about this issue with Gouenji ever since. 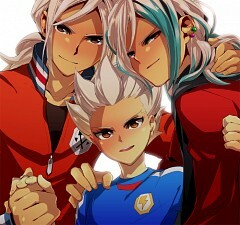 Before the finals in the Football Frontier—a year before the series' events—which was a match between Kidokawa Seishuu and Teikoku, Gouenji's younger sister, Gouenji Yuuka, had become a victim of an accident and was in a coma ever since. 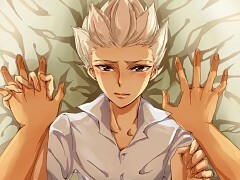 Due to this, his father's condition grew worse. 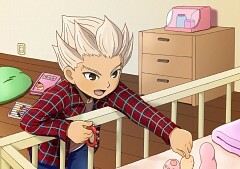 Yuuka was then hospitalized in Inazuma General Hospital, where Gouenji's father worked. Ever since the accident, Gouenji thought that if he hadn't played soccer, the accident wouldn't have happened to Yuuka, and wondered how he can simply relax and play soccer when she is suffering. 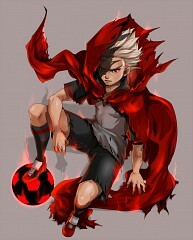 Gouenji keeps an amulet made by Yuuka, transferred to Raimon, and swore that until she wakes up, he wouldn't play soccer. 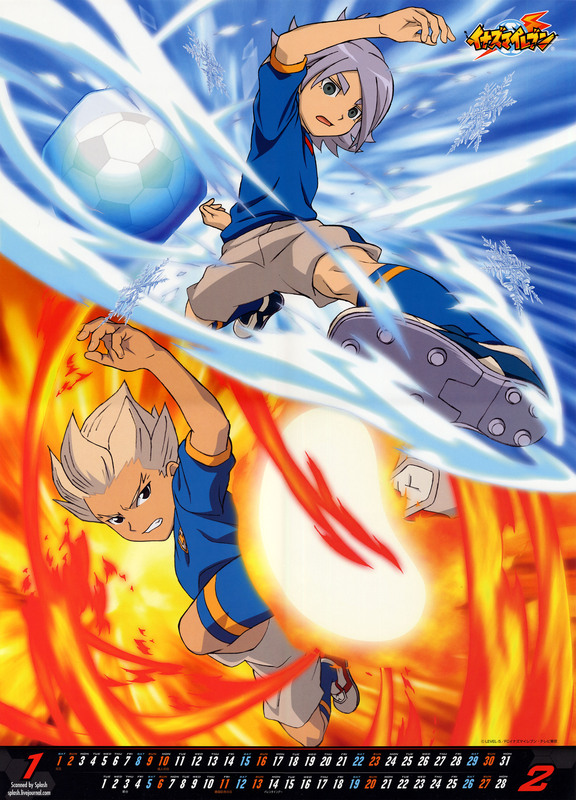 But after he met Endou Mamoru, he got struck by Endou's "never give up" attitude telling him that his sister would have wanted him to play soccer the most. 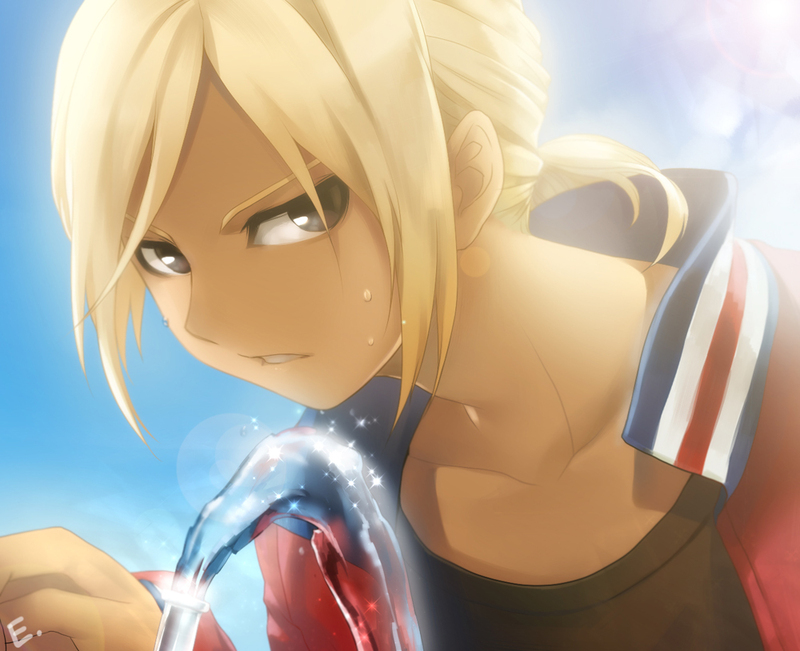 He then regains his passion for the game and changes his promise to become the champion of the Football Frontier. 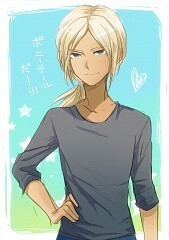 He's cool and calm at most situations. 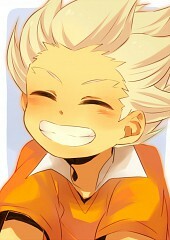 He cares deeply for his sister and has a strong passion for soccer. 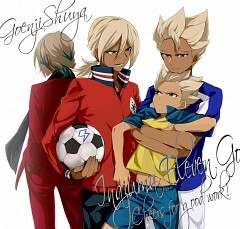 When one of his team members aren't doing well, he kicks the soccer ball hard at them. 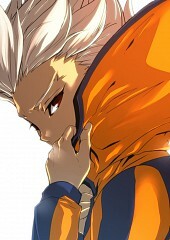 And when they look at him in surprise, he makes them realize their mistake and corrects them. 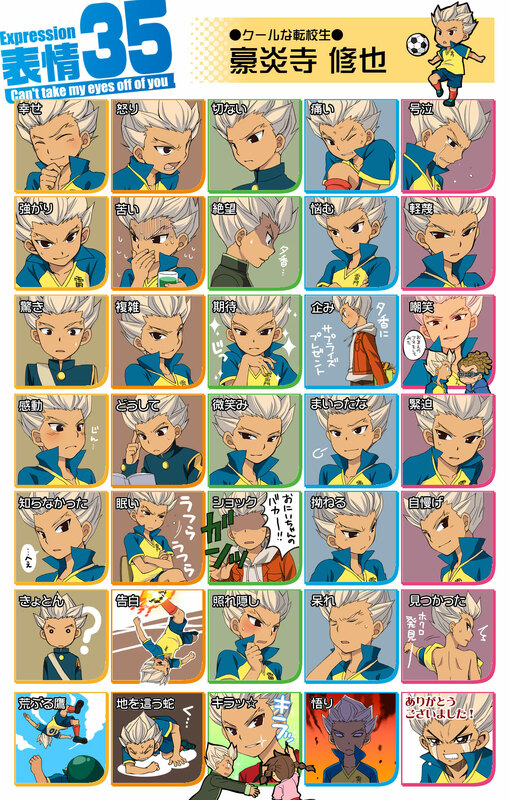 This shows that he takes interest of other people and understands their feelings and shares their sorrow and happiness at all time. 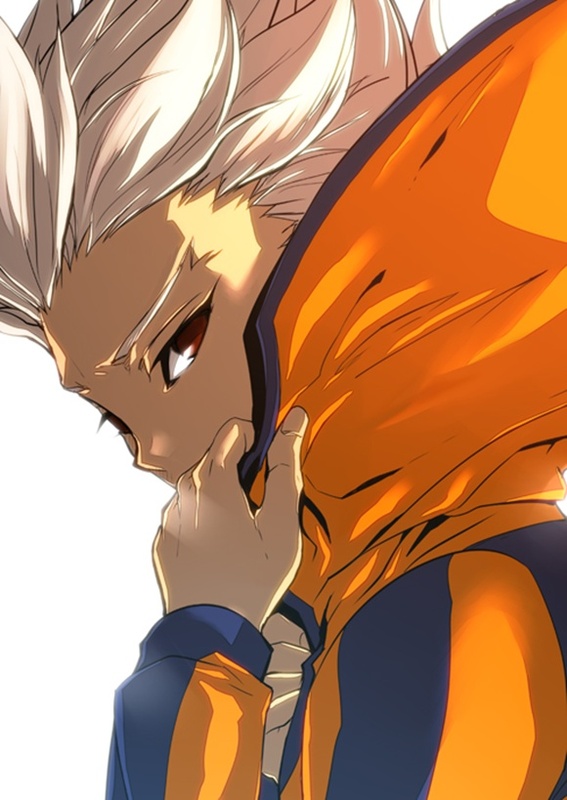 He's also seemed to have a quick thinking at most times.